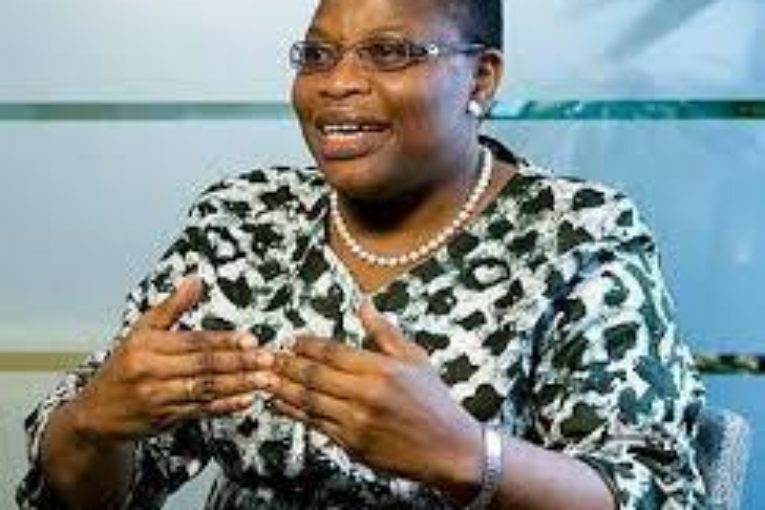 When some 276 teenage girls were kidnapped from their boarding school in northeastern Nigeria in April 2014, Oby Ezekwesili, a civil society activist and former World Bank vice president, was disheartened by the lacklustre response of her government and local television stations. 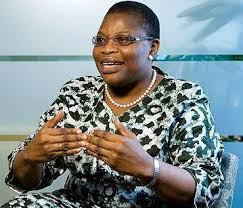 Ms.Ezekwesili and others decided to take to social media to demand action from the government. They emphasized their point with a march to the national assembly in the capital, Abuja. Within three weeks, the “Bring Back Our Girls” campaign put the girls’ kidnapping front and centre on the world stage: the Twitter hashtag had been used over one million times, including by notable influencers former US first lady Michelle Obama and girls’ rights activist and Nobel laureate MalalaYousafzai. The grassroots movement proved instrumental in pressuring the Nigerian government to acknowledge the kidnapping and to commit more resources to rescuing the girls. Beginningwith the ArabSpring in 2011, youngAfricans have been usingtechnology to mobilise around issues affectingthem. Images of youngAfricansassembled in protest, mobilisingaroundhashtags, are nowcommonplace on Twitter, Facebook and other social media platforms. Professor AlcindaHonwana, inter-regional advisor on social development policy at the United Nations Department for Economic and Social Affairs, cites the immediacy of social media as a key factor in mobilising large numbers of people and catalysing change. Young people’s political activism probably safeguarded the integrity of the 2016 election in The Gambia. They began using the hashtag #GambiaHasDecided when former president YahyaJammeh refused to vacate his office and hand over power after suffering electoral defeat. In addition to spreading the word over Facebook, Twitter and Instagram, the anti-Jammeh campaign also encouraged citizens to wear T-shirts bearing the slogan. “Social media has forever changed the dynamics of politics in Africa,” RaffieDiab, one of the campaign’s founding leaders, told Africa Renewal. In October 2014, young people organised over social media against BlaiseCompaoré, then president of Burkina Faso, who was planning to change the constitution to allow him to run for another two terms, thereby extending his 27-year tenure. The emergence of the movements Çasuffit (That’s Enough) and Le balaicitoyen(the Citizen’s Broom) marked the first time since the Arab Spring that popular movements managed to unseat an African president. Likewise, young people in Senegal have drawn attention to the country’shighunemployment rate over social media, and theirprotestsgalvanised the population to vote out President Abdoulaye Wade in the 2012 election. Just as citizens broadcast the abuses of government with video and photographic evidence during the Arab Spring, Africa’s younger generation is taking advantage of tech-based strategies to drive accountability and transparency. One example of this is Livity Africa, a South Africa–based nonprofit organisation whose aim is to amplify authentic youth voices and concerns, in part through its nationwide media channel, “Live Magazine” SA. Launched in 2011, the channel highlights issues that are overlooked by mainstream media, and it encourages government accountability via its weekly “Live from Parliament” segment. Similarly, the Nigeria-based SMS and web platform “Shine Your Eye” facilitates public engagement with parliamentarians and other elected officials by providing access to their track records. By sending a free SMS message to the platform’s dedicated number or visiting its website, anyone can get detailed information on the record of a public official. African leaders themselves are also now using technology to attract young people to their campaigns. Voters under the age of 35 made up 51% of the entire electorate in the 2017 election in Kenya, and the number of voters in the 26–35 age range had more than doubled since 2013, according to data from the electoral commission. In an unprecedented break from his predecessor Robert Mugabe, Zimbabwe’s new president EmmersonMnangagwa has wasted no time in engaging directly with Zimbabweans over social media, regularly posting comments on Facebook that address concerns raised by his constituents. Mr. Mugabe famously did not own a smartphone. Mr.Mnangagwa is gaining popularity for posting short videos on his Facebook and Twitter accounts in which he encourages citizens to message their thoughts as part of a “new national dialogue,” maintaining that leadership is a “two-way street.” The digital approach is exciting many Zimbabweans who are eager to get the president’s attention. While young people in recent years have become the most politically engaged on the continent, their involvement has been primarily through protests and activism rather than voting. Youth engagement with social media also has its negative effects. “Sadly, media is not often used wisely by youth,” notes the Africa Alliance of the Young Men Christian Association, a leading pan-African youth development network. It adds that, “Instead, increasing reports reflect that young people use these virtual spaces as platforms for cyber bullying, violence and intimidation.” The association maintains that this is “an age of unprecedented access to explicit images and videos” that can have a harmful influence on the youth. In 2016, the African Development Bank, a multilateral development finance institution, reported that by 2050 Africa will be home to 38 of the 40 youngest countries in the world, and that all 38 will have median populations under 25 years of age. Experts believe that the youth vote will determine election outcomes in a few years. Campaigns encouraging young people to vote span the continent. In 2014, South Africa’s electoral commission launched the “I Voted” campaign, which encouraged voters to take a picture of their marked thumb and post on social media with the hashtag #IVoted. The hashtag boasted more than 30,000 uses on Twitter. However, Prof. Honwanawarns that social media is not a cure-all for apathy. In the case of South Africa, the national South African statistical service reported that young people accounted for only 18% of total voters in the 2016 local government elections, despite those under the age of 35 making up 66% of the total population. She asserts that while social media can be a useful tool for conveying the importance of voting, young people will not take up ballots over mobile devices unless they believe that their votes will bring about real change in their lives. In the 2016 presidential election in the Gambia, for instance, young people largely supported Adama Barrow, who challenged Mr. Jammeh, because they thought Mr. Barrow would bring about a change in governance. “I just know Barrow will be different. He’s listening to us,” 25-year-old Gambian voter Haddy Ceesay told The Guardian, a UK-based newspaper. Still, Prof. Honwana does not see social media as just a trend. “If we are talking about young people, I think everything that will happen from now on is going to be through social media. That’s where they live,” she said.